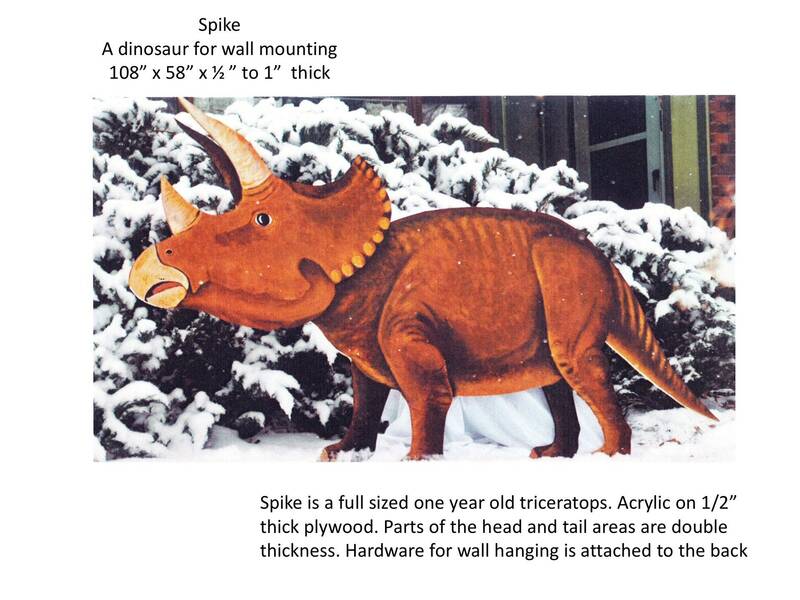 Spike: A 108 x 58 x 1/2 thick painted dinosaur for wall mounting. 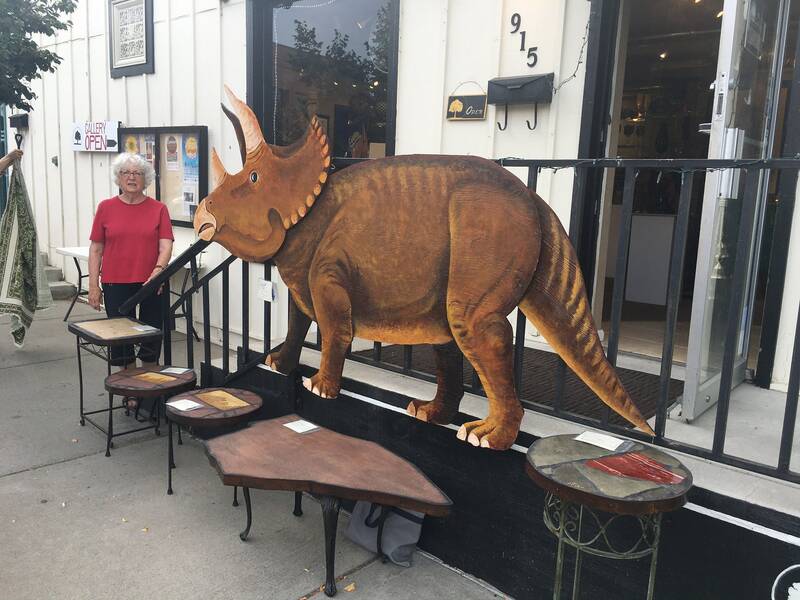 Spike: A 108" x 58" x 1/2" thick painted dinosaur for wall mounting. 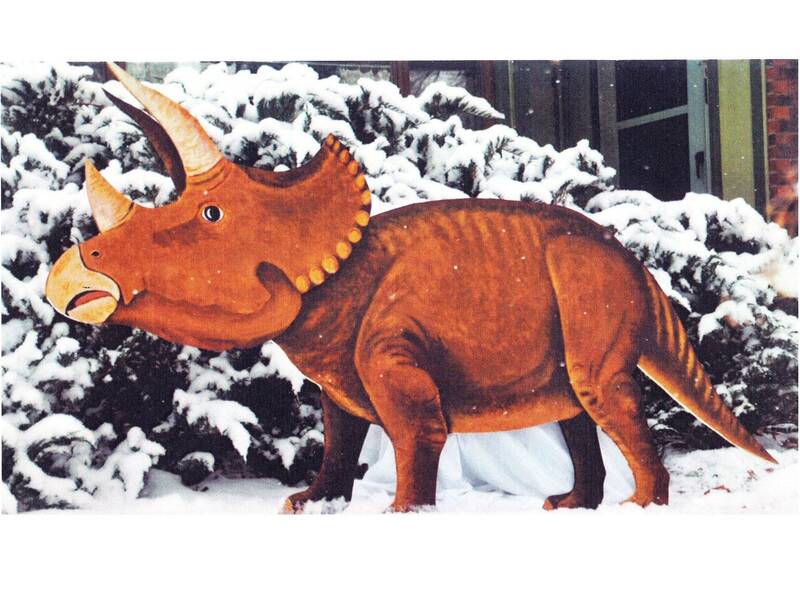 Spike is a full sized one year old triceratops. 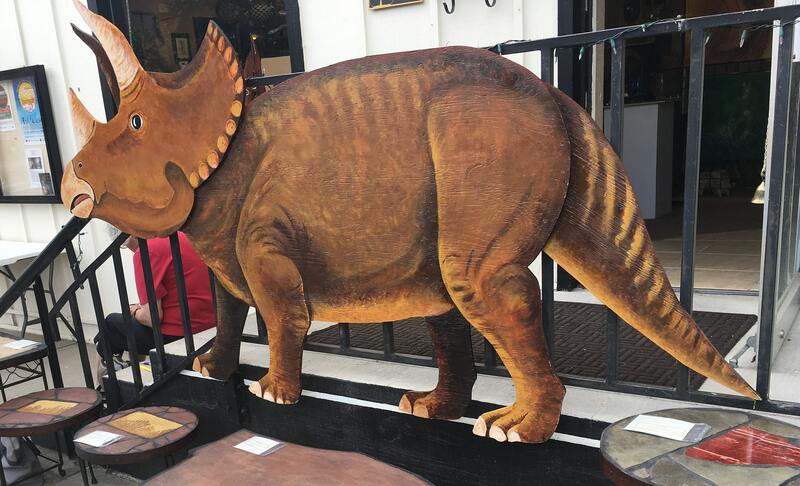 He's painted with acrylic on 1/2" thick plywood. Parts of the head and tail areas are double thickness. 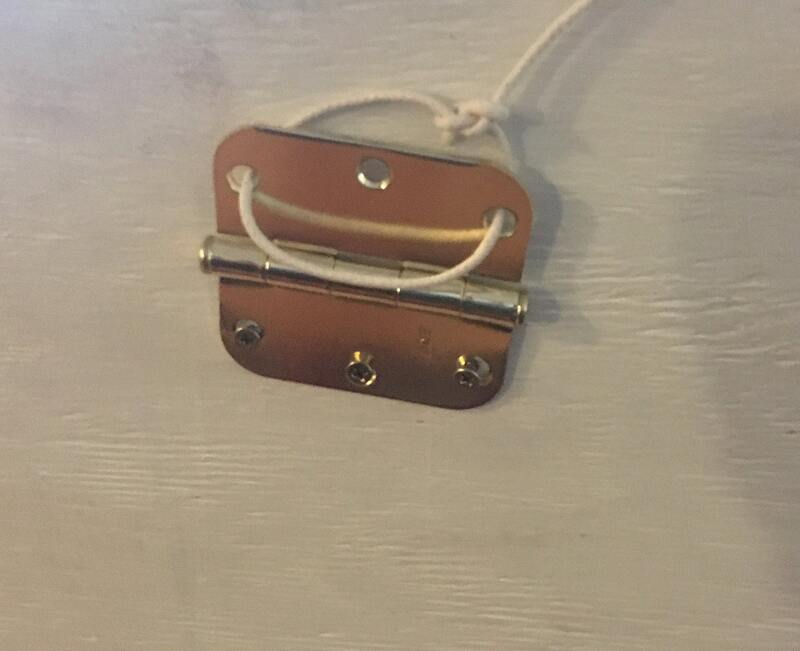 Hardware for wall hanging is attached on the back as shown in the pictures. 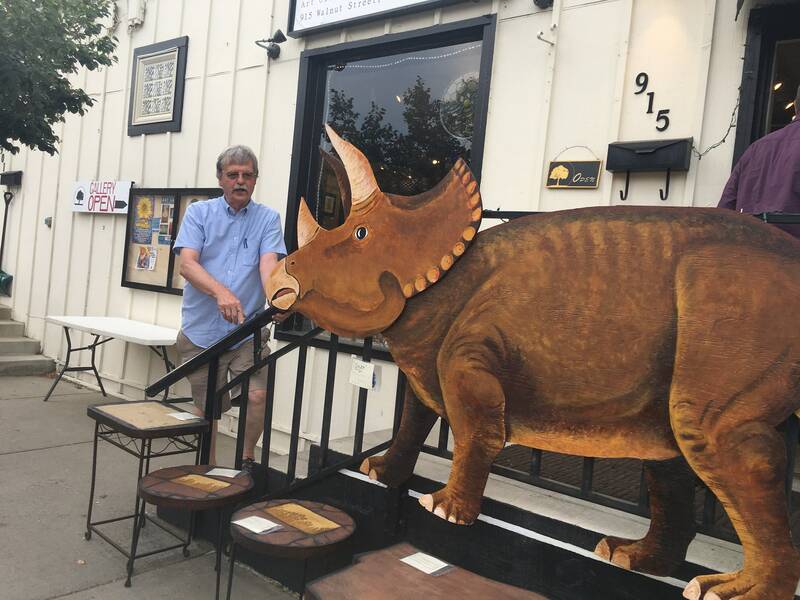 Spike will 'pop' any room you hang him in! Spike ships by FEDex free to the contiguous 48 states. He does NOT ship to Alaska, Hawaii, US offshore territories, or APO's. Free shipping is available only to the 48 contiguous states. I try to ship with EEDex Ground, but sometimes use general freight. Contact me for an estimate of the extra costs to ship to Alaska, Hawaii, off shore US territories, and APO's. You are responsible for arranging and paying for return shipments. My tables are water, wine, beer, and whiskey resistant. They are designed for indoor use. Clean them with soap and water. 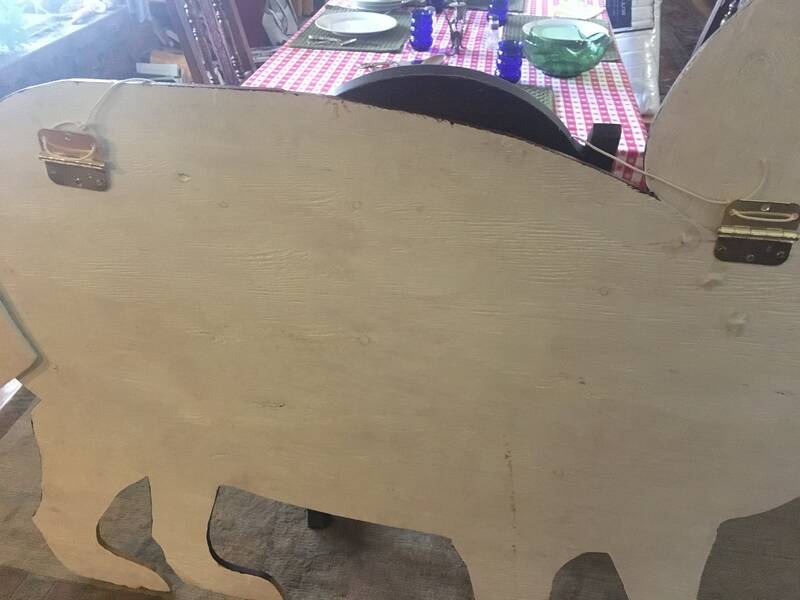 They can be used on a covered patio. Extended exposure to direct sunlight degrades most of the focus stones and evaporates the oil based sealant I use. Contact me for information on how to clean and reseal lyons sandstone slabs and grout that has been degraded by extended exposure to direct sunlight. My trivits are NOT diswasher safe. Clean them with a damp rag.